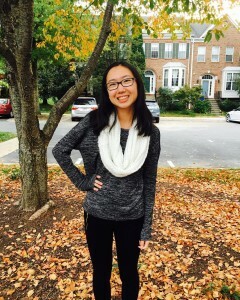 Cindy Song is a student at Richard Montgomery High School in Rockville, Maryland. She found out about the Writing for Peace contest while surfing the web. Cindy has been writing since a young age and hopes to carry her passion for words into the future, where she can use her writing to spread awareness about human rights and current issues. Her favorite thing about writing is that it transforms and transports readers. Her poetry has recently been published in Cadaverine Magazine, Words Dance, National Poetry Quarterly, TeenInk, among others. Besides writing, Cindy enjoys playing tennis, volunteering at her local retirement home, and taking long walks in nature. Scaffold impressed me with its combination of voices, sounds and memories entering and building a young woman’s survival narrative. Cindy’s winning poem will be featured in our 2018 edition of DoveTales, An International Journal of the Arts.